For me summer is the best time to enjoy sweet treats and adorn everything with pretty pastel colors. Incorporating these two very important things I have a super simple recipe I’d like to share. It takes but a mere half hour to bake and decorate these delicious beauties. Enjoy! 2. Add dry, then wet ingredients into a bowl and mix and knead together until a dough-like consistency. 3. With a layer of flour covering a surface (counter, cutting board), roll out the dough to 1/3 inch thick. 4. Cut the dough into circles. For step 3 and 4 I simply use a floured plastic cup to achieve these steps. 5. Place cut-outs on an ungreased cookie sheet an inch and a half apart. Place in the oven for 8-10 minutes or until golden. 1. Add all of the ingredients into a bowl and mix together with a spoon until icing consistency is achieved. 1. Add all of the ingredients into a small bowl with 1-2 drops of your choice of food coloring. 2. Whisk together with a fork until icing consistency is achieved. 3. Repeat for each color you’d like to use. 1. Coat the cookies with a generous layer of the white icing. 2. With one color and the fork, dot the cookies with the colored icing a few times. 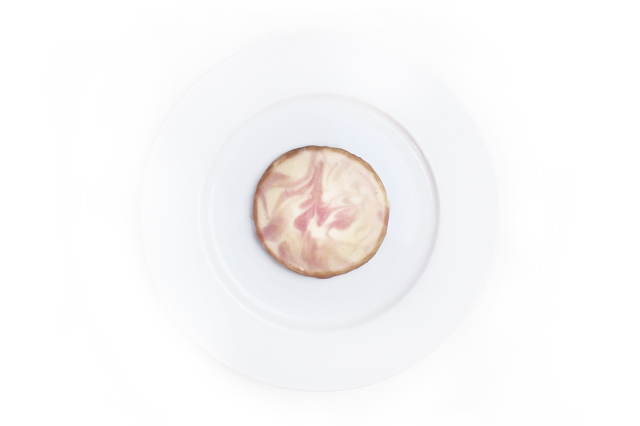 Swirl and drag the coloring with the fork to achieve a marbled look. (Keep the amount of colored icing used minimal to get the most authentic looking grains of stone marble). 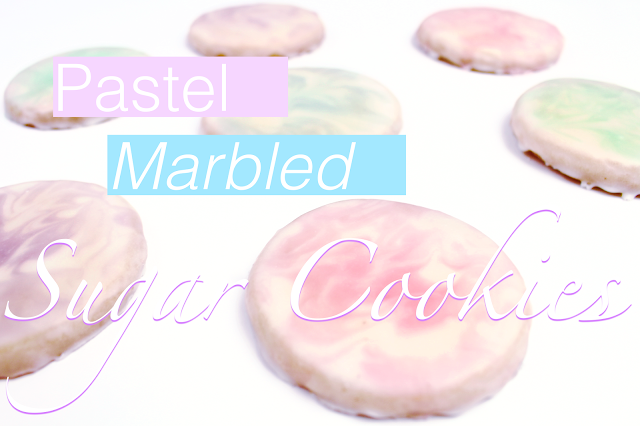 These cookies are beautiful, I am going to make them for sure!